Welcome back to another round of the Practical Scrappers Scrapping Our Stash Blog Hop. On this hop you'll find projects made from our stashes - nothing newly purchased, just add creativity! You might be arriving here from WENDI'S BLOG - let's hop! Back at the beginning of April I shared these altered letters that I hung over my computer desk area. They were fine as is, but I kept looking at them and wanting to do something more. 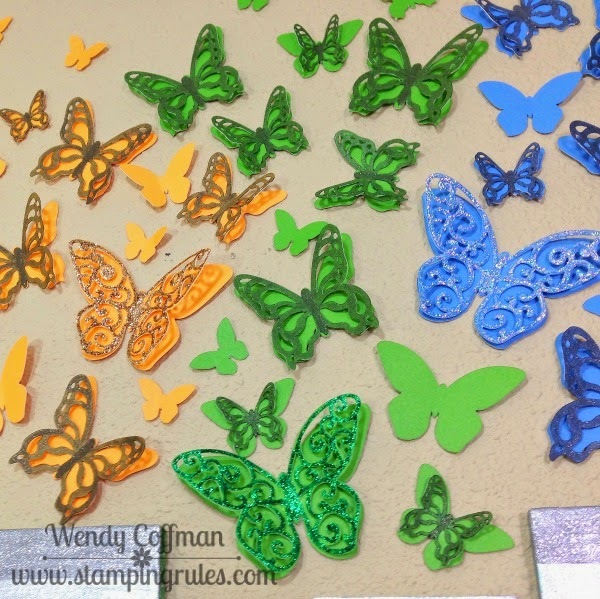 So I turned on my Cricut and started cutting butterflies. Loads of butterflies. So. Many. Butterflies. Some I left plain...for now. Some I double layered and glittered. Some I added a layer with Wink of Stella. All were attached to the wall with Command Mounting Strips which I trimmed into tiny bits so that when I want to alter this again, I can easily do so without having to do any touch up painting. Yay! If you have the CTMH cricut cartridges and want to make some butterflies too, here's my Cricut Design Space file! Next up on the hop is LEE-ANNE'S BLOG. Have fun! Jaw dropping! and very inspirational! thanks for sharing too! Wow! Love the butterflies with your letters! This is amazing! Time well spent for sure! Thank you! WOW!!! Those butterflies are so fun and make a real impact! WOW, WOW, WOW...I love it! That was definitely a labor of love! Seriously!!! How fun is this!!! Great idea!!! 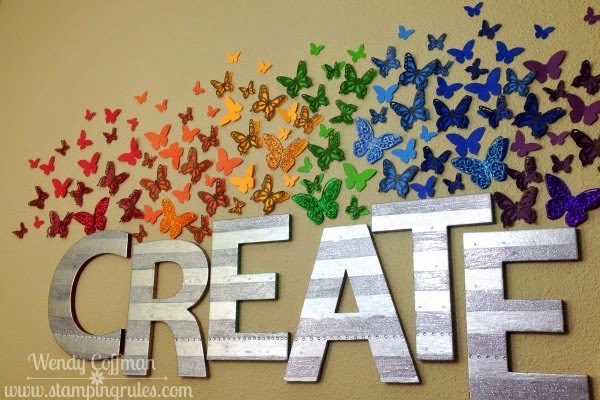 Looks like you had a great time creating a bright and cheery and inspiring wall! I love it! Thanks so much for sharing!